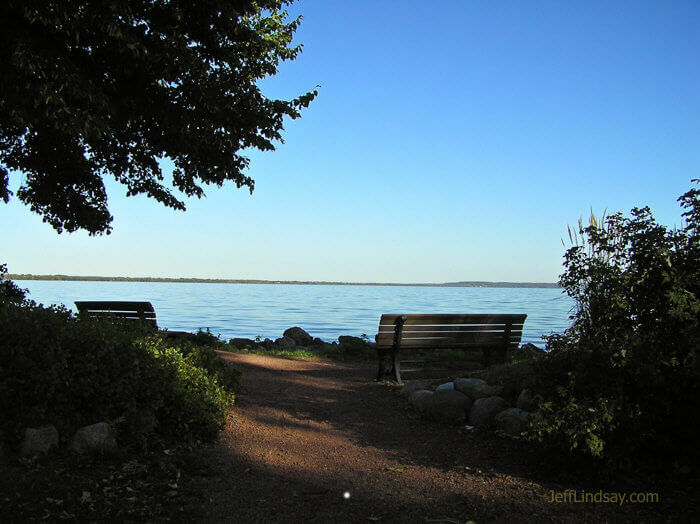 Appleton is part of a larger Fox River Valley community including towns like Neenah and Kaukauna, for which a couple photos are shown here, along with some cultural events from Appleton and other scenes. This is one of many Apple Shots pages: down on the left are links to others such as Apple Shots #5, Apple Shots #8, or Apple Shots #15. 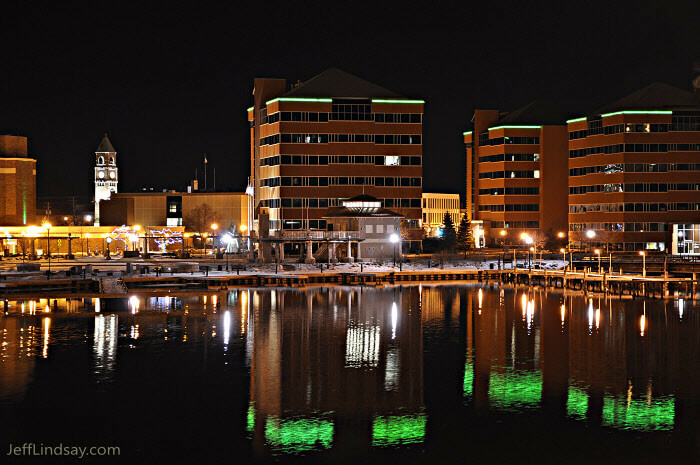 Downtown Neenah on a cold night, during the spring of 2010, as viewed from the lovely new bridge by Theda Clark hospital. 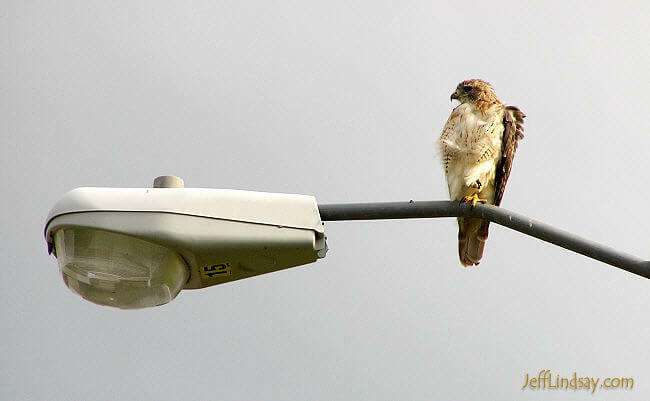 The buildings with the green neon accents are the Bergstrom office buildings. 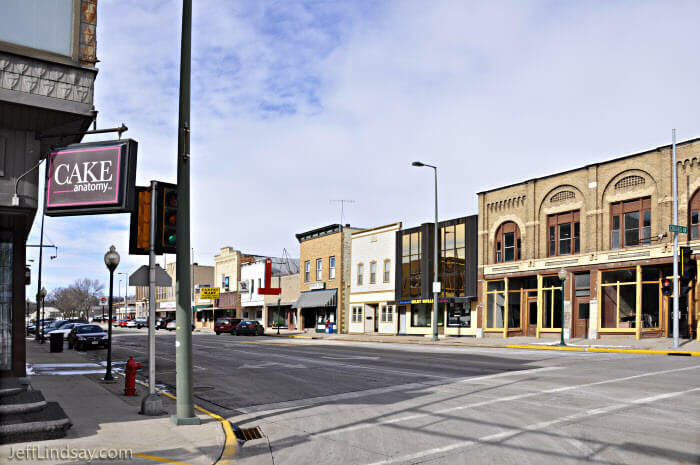 A scene in downtown Kaukauna early on a Saturday morning, Spring 2010. 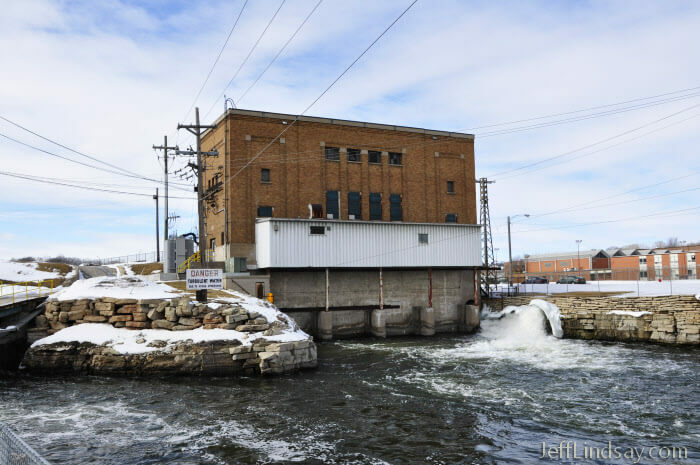 A small hydroelectric plant on the Fox River near downtown Kaukauna, Feb. 2010. 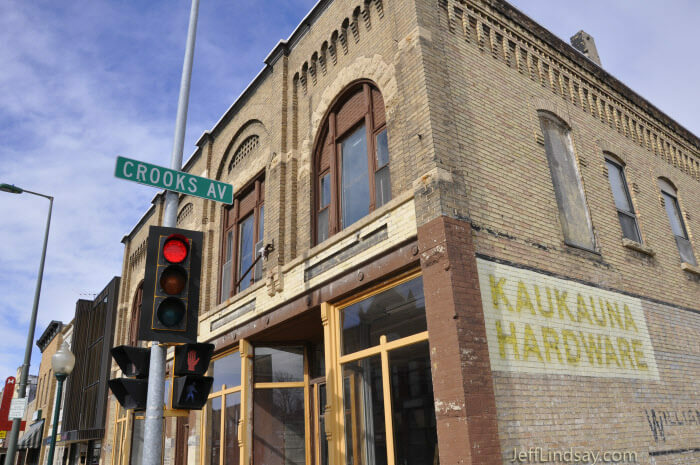 Crooks Street in downtown Kaukauna, Feb. 2010. 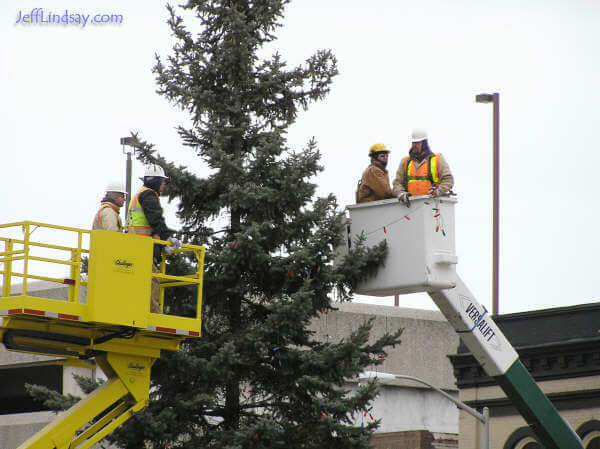 Workers remove Christmas lights from a tree at Houdini Plaza in downtown Appleton, Jan. 5, 2006. 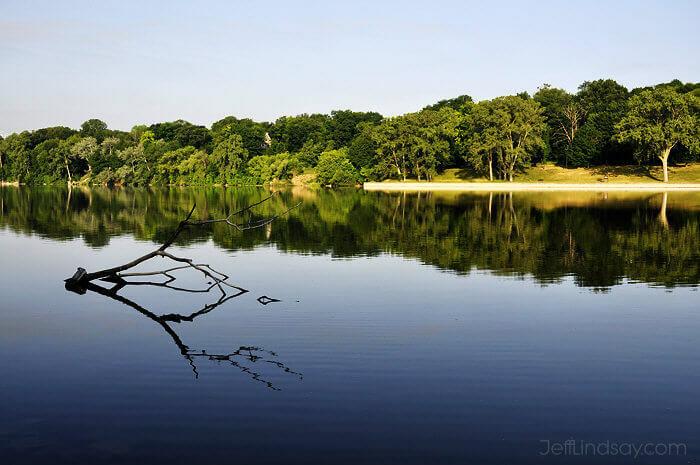 The beautiful Fox River as viewed from the shores of Telulah Park on the east side of Appleton, next to or maybe in Kimberly. 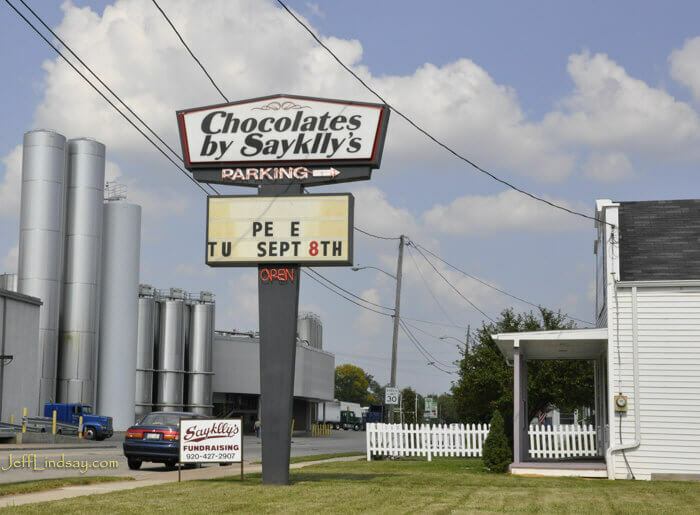 Neenah's famous chocolate shop, Sayklly's, reminds Neenah residents of an important health practice--one that should be done everyday, in my opinion, not just on Sept. 8. Creation date: Dec. 10, 2006.